The theme of “death” that our assembly on Sunday was focused around got me thinking about a particular song that resonates with me on the subject. I thought I’d share it with y’all. “Little Martha“, an instrumental by Duane Allman, is a song rich in meaning to me. It’s an Allman Brothers Band tune, rooting it in Georgian music. Its title comes from the gravestone of a little girl in Macon that the band was familiar with. It’s a beautiful, joyful little tune, in the spirit of a child, but surrounded by tragedy and loss. It’s simultaneously enjoyable and memorial for this lost little girl. Even more striking, Duane died in a motorcycle accident just weeks after recording the song, and he and another bandmate are buried near Little Martha. The song is beautiful and wonderful. It’s happy, but yet created surrounded by, inspired by, and in spite of death. That gives it complexity, depth, and a new perspective on every listen. 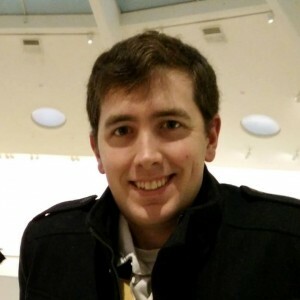 Ross graduated from Georgia Tech and now works at the Georgia Tech Research Institute as a software engineer. He enjoys gaming, blogging, communicating and learning. Don’t get him started talking about podcasts, though. Ross is very interested in creating positive secular community, of which he believes SAA is an important part. At Sunday Assembly Atlanta, Ross runs the social media. He records and posts assemblies and other videos. A native millennial, he speaks Twitter fluently.